Though it may not be obvious to most of the people who use our library, work in special collections often includes playing a role in someone’s grieving process. Archivists have begun talking about the ways in which interacting with donors puts them in the position of providing comfort to the bereaved, but this is also work performed by those who interact with researchers. For those of us in public services, this usually means providing information about the deceased to those in mourning. One kind of loss, however, is distinct from the others, and the emotional labor for me working with these patrons is different, too. My own emotions surface at unexpected news of a suicide in ways they do not when I am caught by surprise about the news of other kinds of unexpected deaths, a phenomenon psychologists label “transference.” Though I may remember the unusual circumstance of someone’s demise I uncover in my research if it is especially noteworthy—such as an alum who electrocuted himself trying to install a TV antenna—they are far less personally provocative. I cannot recall their names; a week or so passes and new questions push them away. This is not so with suicide. One example that particularly stands out in my mind came in almost two years ago, just after the 75th anniversary of the bombing of Pearl Harbor (December 7, 2016), when an elderly alum wrote to ask a seemingly innocuous question: Did a Princeton student die in a train accident immediately after Japan’s attack on Pearl Harbor? 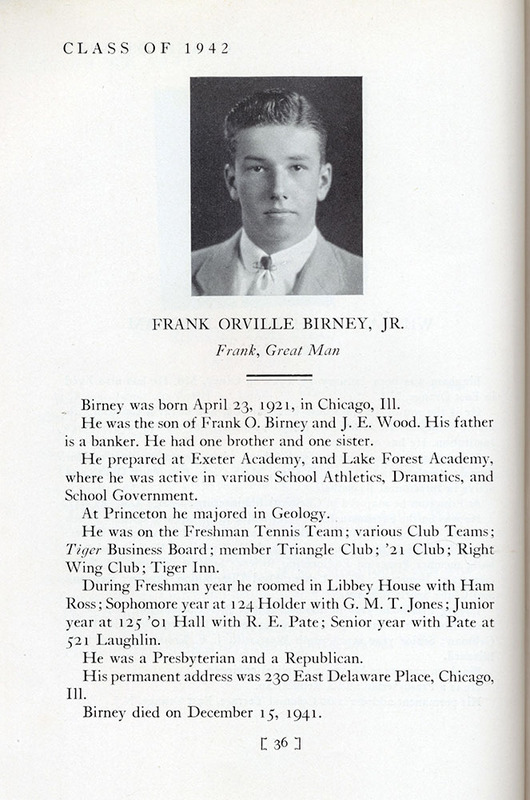 Frank Birney ’42’s entry in the 1942 Nassau Herald. Hello everyone! 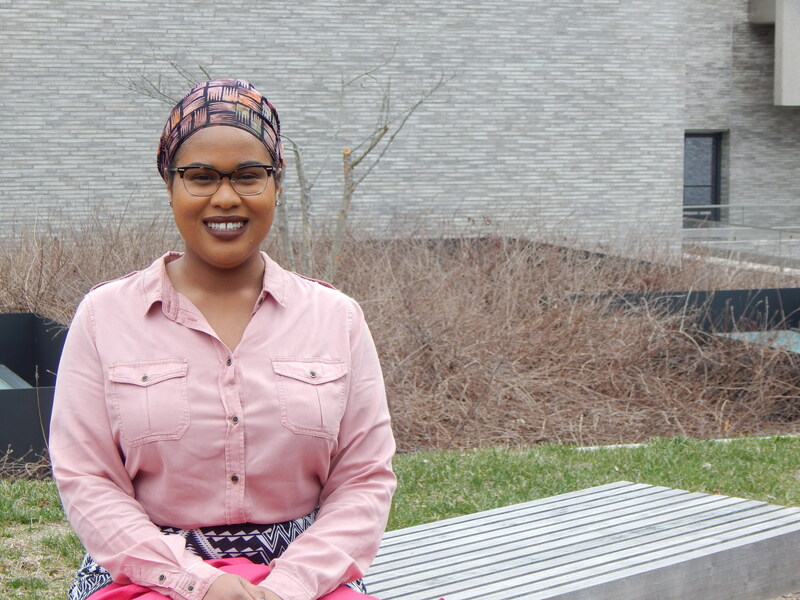 My name is Valencia L. Johnson and I am excited to venture into a new role at Princeton University Library’s Seeley G. Mudd Manuscript Library, home of the University Archives and the Public Policy Papers. I have been a part of the Mudd team since June 2017 starting off as a John Foster and Janet Avery Dulles Archival Fellow. In my new role as the Project Archivist for Student Life, I aim to create an environment where students can create history for themselves. This is a very broad statement but it truly captures the spirit of the position. Students shape the trajectory of the University as much as the administration, and it is important that the archives reflect this dynamic. 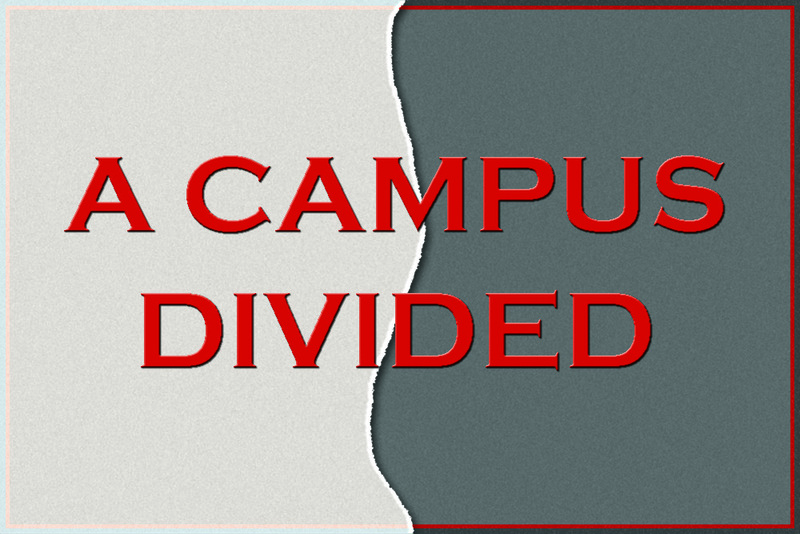 My work will involve making connections across campus with various student organizations, student publications, residential colleges, the graduate school, cultural and affinity centers, and alumni. I plan on hosting public programming events that will strengthen the record keeping aspect of organizations, introduce people to personal digital archiving, and engender a sense of ownership within the Princeton University Archives for students. In addition to this public outreach, I will process acquisitions, reprocess existing collections, and write finding aids. If you have questions about the position, me, or want to learn more about archiving, I can be reached via email. Founded in 1972, Acción Puertorriqueña—later known as Acción Puertorriqueña y Amigos—was a student group initially consisting of Puerto Rican undergraduates and later allies who sought to create spaces for Puerto Rican cultures on Princeton’s campus through cultural events and student-led activism. Such celebratory events included the beginnings of Latino Graduation in 1990 and National Hispanic Heritage Month in 1989 as commemorations of the experiences of Princeton students descending from Latin American ancestry, while activist initiatives included lobbying for seminars related to Puerto Rican histories and recruitment programs for Puerto Rican students in the 1970s as strategies for empowering Puerto Rican communities on campus. 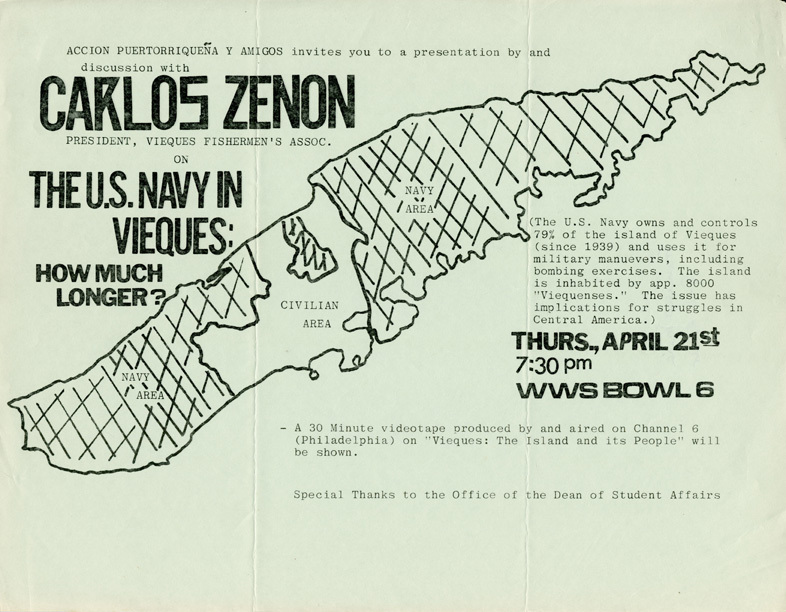 Event flyer, 1981. Carl Fields Center for Equality and Cultural Understanding Records (AC342), Box 1. This post is part of a series on education and war related to our current exhibition, “Learning to Fight, Fighting to Learn: Education in Times of War,” on display through June 2018. Please stop by to learn more. We will be hosting a panel discussion on February 28, 2018 at 1:00PM featuring Robert Rivers ’53, Bob Durkee ’69, and the Princeton University ROTC’s Lt. Col. Kevin McKiernan to discuss the impact of war on Princeton from the World War II era to the present. This event is free and open to the public. We’ve also recently added a small case with materials about America’s two wars with Iraq in 1991 and 2003-present in our lobby which will be on display along with the rest of the exhibition through June 2018. 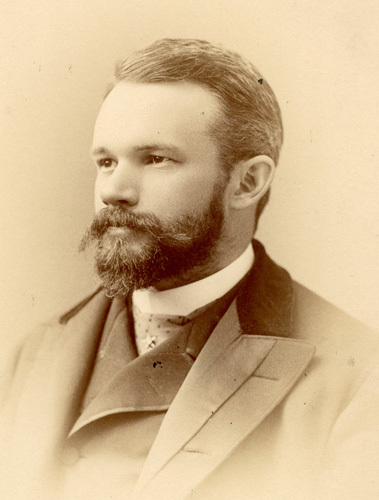 In 1927, Ernest R. Groves developed a groundbreaking new course at the University of North Carolina focused on comprehensive preparation for marriage and family life. 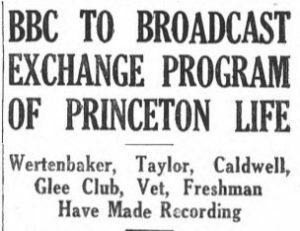 By the mid-1930s, scattered colleges throughout the United States were offering similar classes to undergraduates, but Princeton joined the group a bit late. 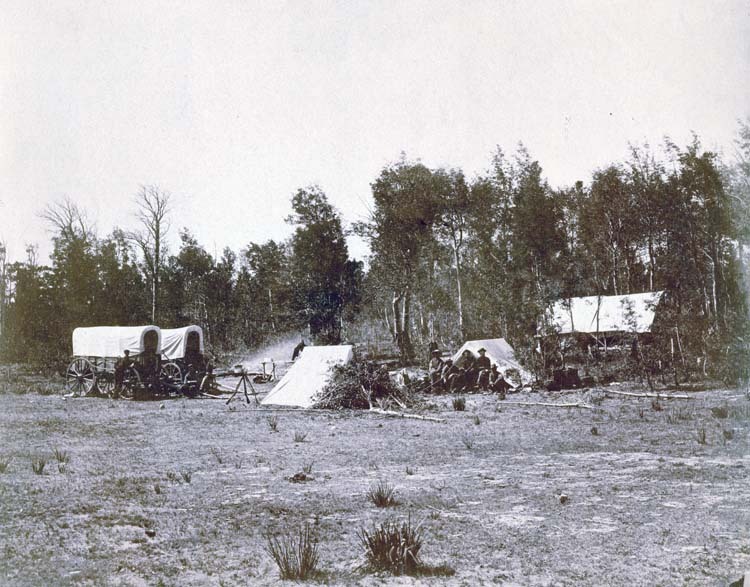 The first serious discussions of the possibility of having such a course here occurred in the late 1940s. Students were pushing for a course to address sociology, psychology, religion, economics, law, and medicine as they related to marriage and family life. A 1949 editorial in the Daily Princetonian lamented the lack of such a class as “an astonishing fact.” The first marriage lecture at Princeton was given on February 15, 1950. Due to its high demand, “A Course on Marriage and Family Life” was open only to Princeton seniors after the first couple of years, even though it was non-curricular (i.e., could not be taken for credit). One needed tickets to attend lectures, for which a fee was charged. 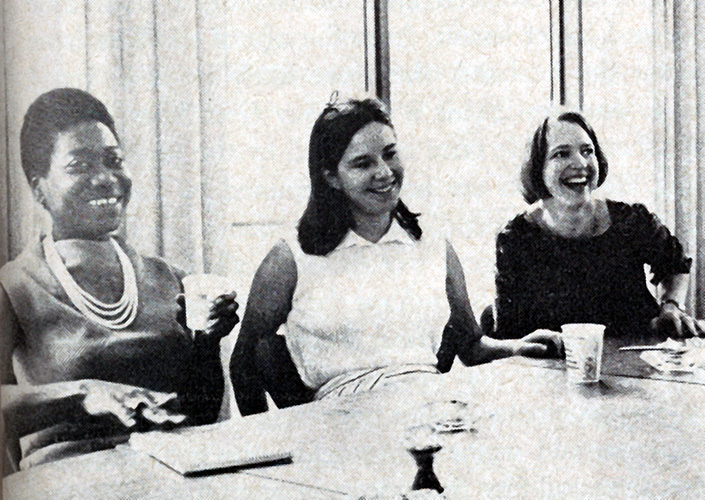 Princeton faculty led smaller discussion groups, similar to precepts, following the lectures. The institution was not yet co-educational, so the focus was on how to be a good husband and father; wives- and mothers-in-training were presumably taking courses elsewhere. Some students found it difficult to discuss sensitive topics openly, but most reports indicate that they felt it had been a good experience for them. 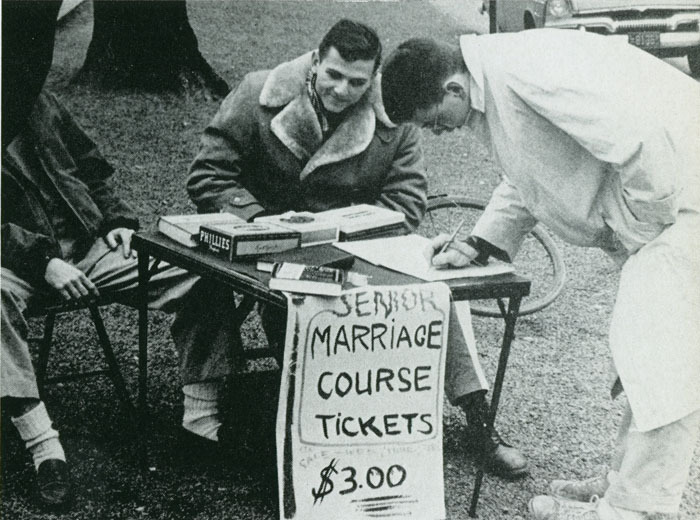 Marriage course ticket sales. Photo from 1957 Bric-a-Brac. On February 19, 1942, President Franklin Delano Roosevelt signed Executive Order 9066, which authorized the Secretary of War to determine the boundaries of artificially-designated “military zones” that allowed the United States to move Japanese Americans into internment camps. Princeton University was not within these military zones. 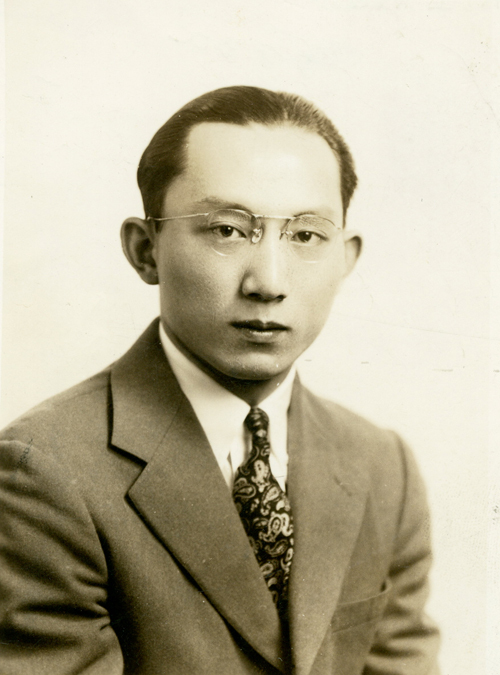 Nonetheless, its sole Japanese student during World War II, Kentaro Ikeda ’44, found his freedom severely restricted during and immediately following the war. Rather than confinement in one of America’s concentration camps, Ikeda instead experienced a kind of solitary internment on the Princeton campus. Kentaro Ikeda ’44. Undergraduate Alumni Records (AC199).